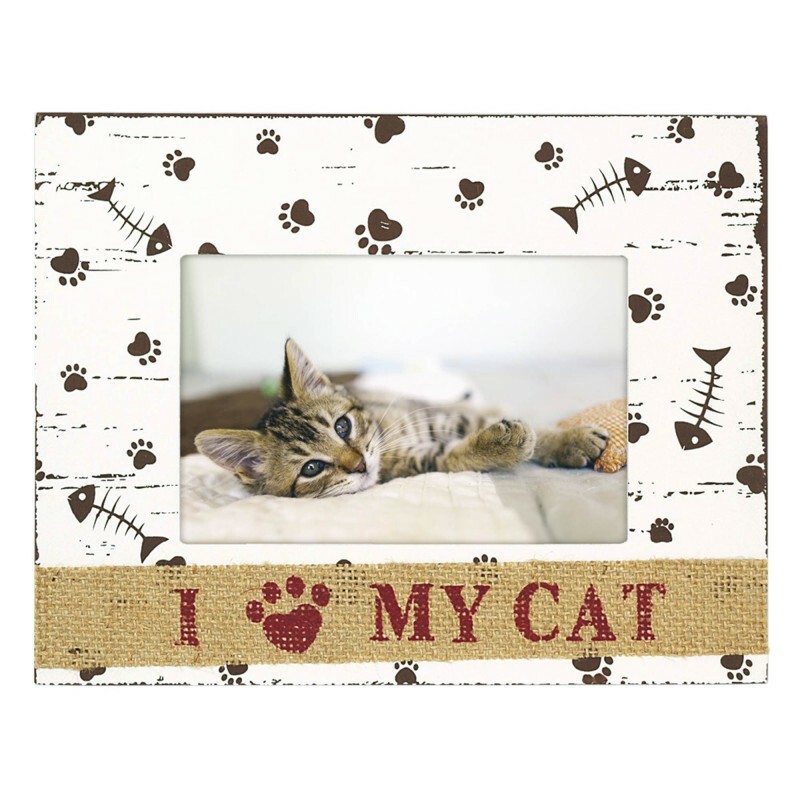 This lovely Landscape Frame for a 6x4" print is made from mdf and printed with a lovely Cat paw and fishbone print in brown on a white background. 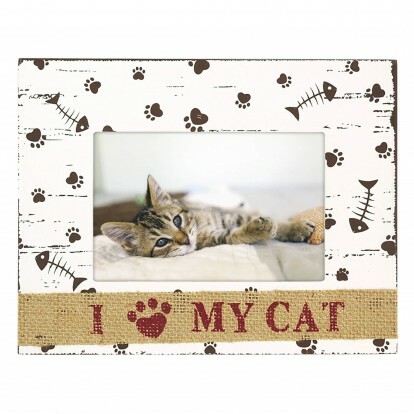 It has hessian trim below the aperture with the words I (heart-shaped paw-print) my cat. For hanging and standing. Packed in white box.